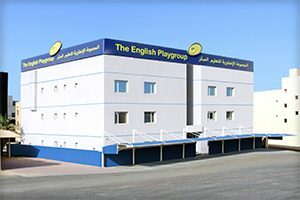 Established in 1975 as a family-owned and operated company, EPG has grown into the premier provider of Early Years and Elementary Education in Kuwait. 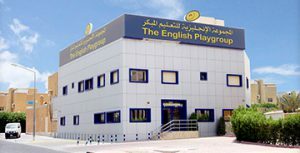 EPG currently operates a network of 30 schools across Kuwait, giving over 8,500 children aged 9 months to 12 years the opportunity to be the best they can be. Our core mission at EPG is to empower students to become lifelong learners and to strive for their full potential. 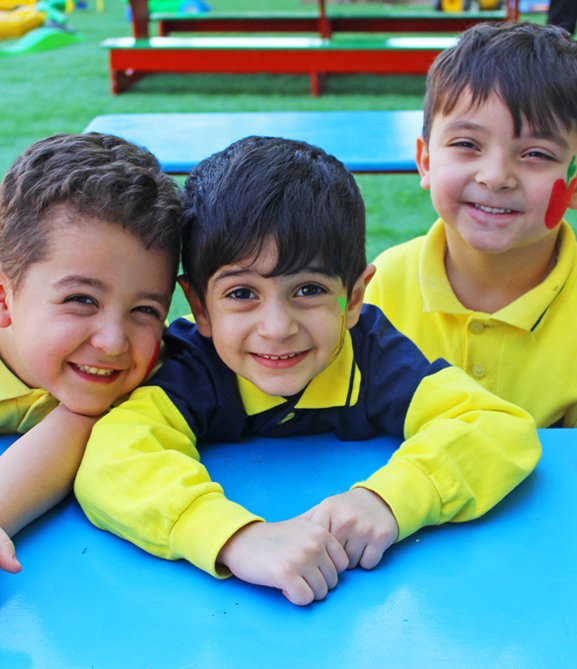 We have created a welcoming and safe environment for children to learn, be creative, and grow into the global citizens that will shape the future of Kuwait. 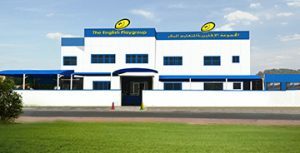 EPG follows the world-renowned English National Curriculum in our schools, which we have carefully adapted to local customs, Ministry of Education requirements, and our fully bilingual approach. 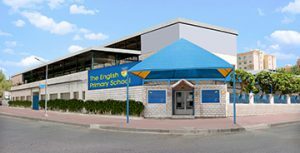 EPG has garnered international recognition for its efforts, earning full COBIS (Council of Overseas British International Schools) accreditation for our primary schools. Our leadership and teaching family, currently over 700 strong, are the backbone of our company, and they are each handpicked from across the world for their exceptional experience and training. We make sure they stay at the top of their fields with our world-class continuing education and training. 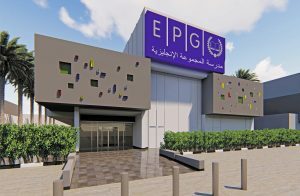 EPG strategic vision is simply to enable all our children to be the best that they can be. To provide affordable high-quality education, enabling children to become bilingual lifelong learners and valuable global citizens in a rapidly changing multicultural world. To build learning communities that are safe, inclusive and collaborative. To partner with parents to nurture the development of the world child, emphasising communication, critical thinking, creativity, collaboration, and compassion. 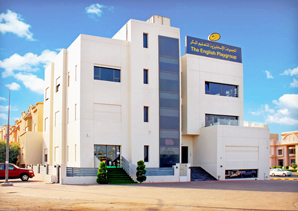 To promote care, honesty, tolerance, trust, compassion, and respect amongst the EPG community. To provide contemporary learning opportunities for all stakeholders, which stimulate curiosity, inquiry, reflection, challenge, and innovation. To nurture and support all children, so that they achieve their potential in all areas of learning: social, intellectual, physical, emotional and spiritual. To equip children to become creative and independent thinkers, responsible citizens and life-long learners. To provide a broad and balanced curriculum with an emphasis on learning to learn. To develop and maintain welcoming, child-friendly facilities and environments. To ensure that all members of the school community are valued. 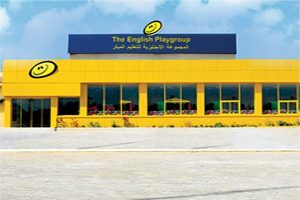 At The English Playgroup you will find a stimulating and successful program of learning, playing and care, taught by the very best trained English specialist teachers. Within the schools there is a strong belief in children receiving a challenging and inspirational education and in developing their own talents and personalities in preparation for their future education. 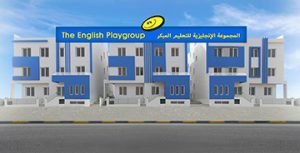 Our bilingual program teaches fluency in English and Arabic through a well-structured, thematic approach to learning. At our schools, we use the English National Curriculum to deliver the best of Early Years and Primary Education. Over the years, we have developed our own books and curriculum resources that match our student’s abilities and help them progress solidly through the Foundation, KS 1 and KS 2 levels. 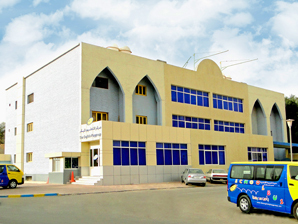 Arabic is taught in line with the Kuwait Ministry of Education guidelines. Class sizes are kept small at our schools to ensure each child receives the attention and care they deserve and all our staff are experienced professional teachers with high standards of achievement. Our schools provide a stimulating, creative and welcoming environment in which to learn. 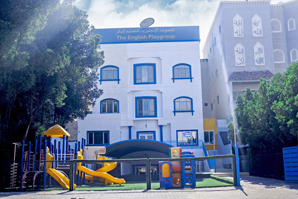 Our facilities, which are designed specifically with the Early Years and Primary-aged children in mind, are second-to-none and are constantly updated to stay at the forefront of Early Learning and Primary education. 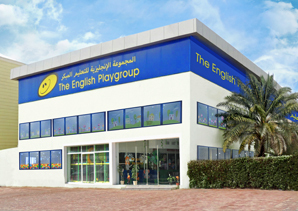 I look forward to welcoming you and your children at The English Playgroup and Primary Schools. At EPG, the Early Years Foundation Stage (EYFS) is a play-based adapted curriculum for children from 9 months to 5.5 years. This allows children to explore and learn in an environment that is secure and safe, yet challenging. We understand that this period in a child's life is an important developmental stage when they discover themselves and the world around them. Leadership and teaching teams in branches are dedicated and passionate professionals who embody all the values we teach children. 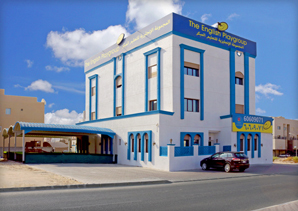 To develop skills in spoken English and build a strong foundation of key skills for future learning. 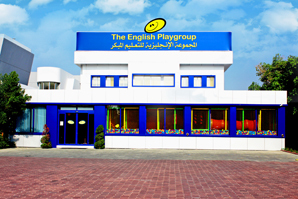 To express their ideas freely through language, Art, Music, and roleplay in both English and Arabic. To make friends and learn to play cooperatively, and being sensitive and caring towards others. To be familiar with simple ICT. To develop a positive attitude toward learning. The curriculum is based on the Early Years Foundation Stage that consists of 7 areas of learning and development. 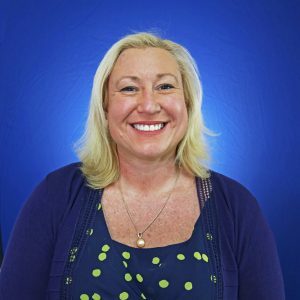 Vanessa joined EPG in 2018 and is the Early Years Vice Principal where she oversees the quality of teaching and learning, ongoing curriculum development, leadership and management and staffing of Early Years branches. At the core of Vanessa's teaching philosophy lies the desire to find ways to motivate and inspire children. She endeavours to establish safe, supportive and stimulating environments, where children can grow and mature emotionally, intellectually, physically and socially, ultimately meeting their fullest potential to be the best that they can be. Our staff share a real passion for working with children. The safety and education of children is paramount and at the heart of everything we do. Our approach to learning is both interactive and innovative and we build positive relationships with children that are warm and kind, and foster a sense of belonging. Originally from England and studied in the UK, Hanna has a BA in Business and a Post Graduate Certificate in Education. She is a dedicated and forward thinking individual with over 20 years’ experience in education. 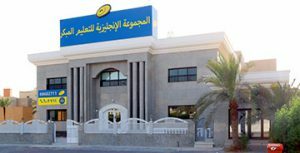 Hanna is responsible for the following branches; Mangaf, Abu Halifa, Abu Fatira, Mubarak Al Kabeer, Qurain and Qusoor, and Fintas. We firmly believe in building strong relationships with parents. We want to engage with parents to build a shared understanding of the principles of the curriculum, learning goals of the school and our approaches and methodologies we adopt. We acknowledge that parents have a special contribution to make in creating and fostering a positive school setting. 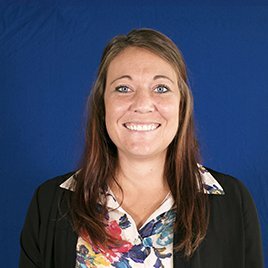 Originally from Colorado in the USA, Crystal have recently graduated with a Masters in Leadership education and has 6 years of experience in shaping the minds of children. As a passionate and inspired educator, Crystal enjoys helping all students and teachers reach their highest potential. 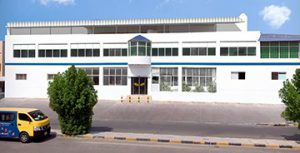 Crystal is responsible for the following branches; Funaitees, Meshayel, White Building, Blue Building, Rumathiya and Salwa Early Years. Our Primary Schools are creative, dynamic places of learning where children aged 5 to 12 can hone the skills that they will need for a lifetime of learning. Our renowned English National Curriculum is delivered by a diverse group of highly-qualified teachers, and our school leaders have been carefully selected from around the world for the experience and qualifications that they bring to our schools. 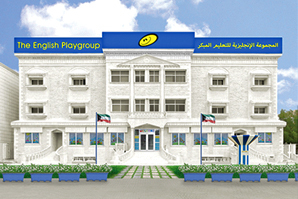 We are dually proud of our Kuwaiti heritage as well as our international character, and we aspire to help mold the children that will shape the future of this unique and wonderful nation. 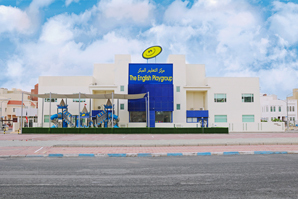 Our primary schools continue to grow and offer parents and students outstanding services and facilities in Kuwait. EPG is privileged to be a recognized and accredited member of the Council of British International Schools (COBIS) since 2016. 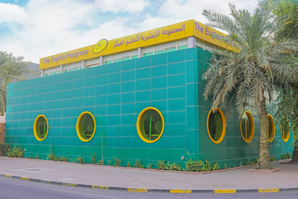 We are also very excited to announce that we are adding Year 6 classes in Salwa and Year 7 classes in Salmiya for the upcoming 2019-2020 academic year. At EPG, we recognize that parents are an integral part of the learning process. We look forward to your support throughout the school year, as we strive to make our primary schools a vibrant environment where all our children can be the best that they can be. We enable children to become bilingual lifelong learners and valuable global citizens. We build learning communities and provide safe, inclusive, collaborative environments. We emphasise communication, critical thinking, creativity, collaboration, and compassion. 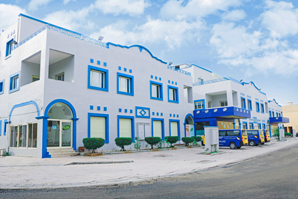 We value individual and cultural differences, celebrating Arabic and Islamic values. Our schools offer the National Curriculum for England. It is a balanced and broad-based curriculum comprising KS1 for 5 – 7 year-olds and KS2 for 7 to 10 year-olds. This curriculum strives to promote the spiritual, moral, cultural, mental and physical development of children. 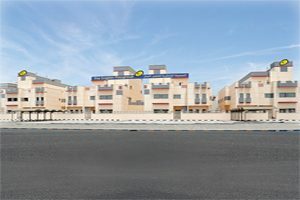 It also prepares pupils at the school for the opportunities, responsibilities, and experiences of later life. 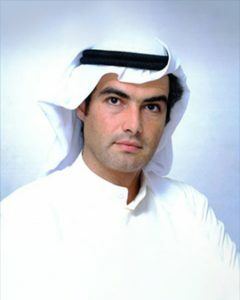 Additionally, a full programme of Arabic and Islamic studies reflects the requirements of our host country. Field trips, extended learning programmes, events, and extra-curricular activities for all ages and abilities enhance the learning experience. Our learning support programme and Arabic as a foreign language for non-native Arabic speakers ensures access for all learners. As Vice Principal in Salwa School, Rachel is responsible for assisting the Principal with the daily running of the school. The Vice Principal leads and mentors the staff in order to ensure a high standard of teaching in the school and supports curriculum development to ensure that it is engaging and accessible for all. Rachel has nine years’ experience in education in Kuwait. She has an Honours degrees in Media and Education from the University of Ulster and Sunderland. Her focus in education is to ensure that all children find and develop their strengths, giving each of them the opportunity to succeed. Our schools are places where children feel happy, secure, and valued. 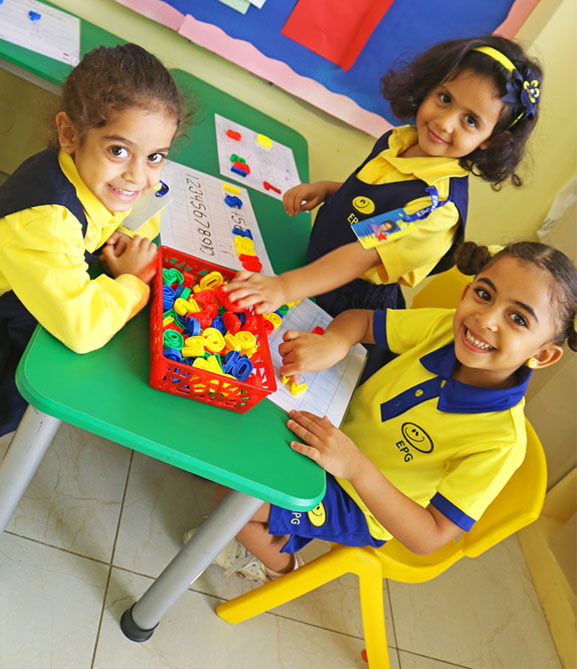 Careful planning has resulted in wide-ranging and stimulating activities to creatively deliver the curriculum, nurturing confidence, independence, social skills, positive attitudes towards learning, and a broad skills base to develop the pupil as a whole. Matthew has 14 years’ experience leading schools in Asia. 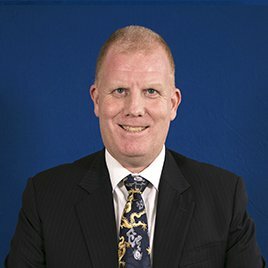 Following the successful completion of his National Professional Qualification of Headship (NPQH), he has led schools in Hong Kong, Singapore, China, Malaysia and now here in Kuwait. Matthew is passionate about the use of technology to support teaching and learning in the classroom and has worked on several innovative projects involving mobile learning. Matthew is well traveled, having visited 6 continents and lived in or traveled to, over 60 countries. He enjoys bringing his wealth of educational experiences into schools and classrooms to inspire children to be global citizens and lifelong learners. 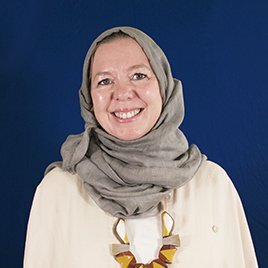 Nancy is an experienced school leader with most of her teaching career having been spent in North Africa and the Middle East. She has 6 years of Middle and Senior leadership under her belt to complement her many years of teaching experience in British Schools. 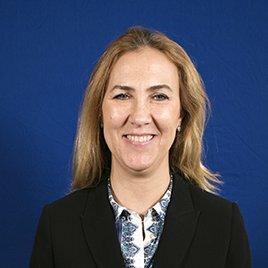 She is a member of the European Council for Independent Schools and obtained both her PGCE and MA in International Leadership from Sunderland University in the UK. 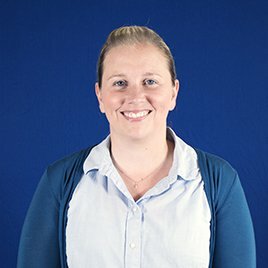 She brings a diverse range of skills and experience to EPG including Pre-school curriculum development, Enrichment Programme teaching, Language school teaching and an eye for interior design. 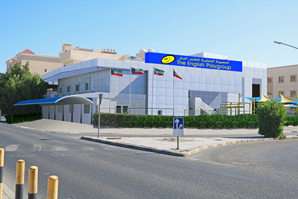 At EPG, we aim to be the best that we can be! We provide affordable high quality education. 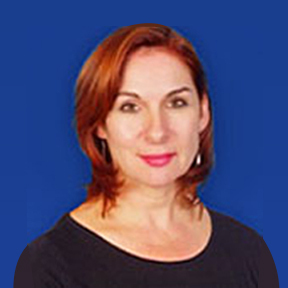 Tracey joined EPG in 2018 as PS Vice Principal, She completed MA Educational Management & Leadership from University of Bath, United Kingdom. As a leader, she believes in building teams and training staff to have high expectations and to meet high standards, believing that on-going CPD enables teachers to deliver the highest standard of learning. Tracey trusts that the most important contributing factor to enhancing a student’s success rate is motivating and encouraging them to believe that they can do well. EPG schools are places where children are valued, safe and happy. We create a positive and supportive environment for learning where teachers actively model how they would like children to behave. Paul is passionate about active learning and the development of thinking skills. He continually reinforces learning through self-directed activities, hands-on learning and collaborative work. He teaches children to be independent and to “Be the best they can be”. 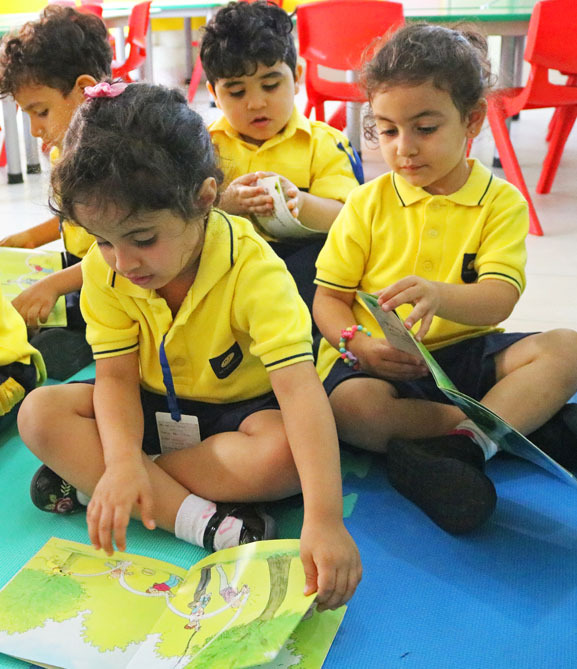 In the classroom children are able to make creative choices in their learning, whilst being supported and guided by the teacher through age-appropriate activities. 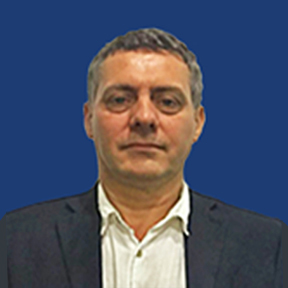 Paul has more than 18 years teaching and management experience across all development levels in Kuwait and further abroad.